PoPville » Dear PoPville – When Selling a House What is more important – Historical Details or an Open Floor Plan? Any Realtor recommendations for the former? 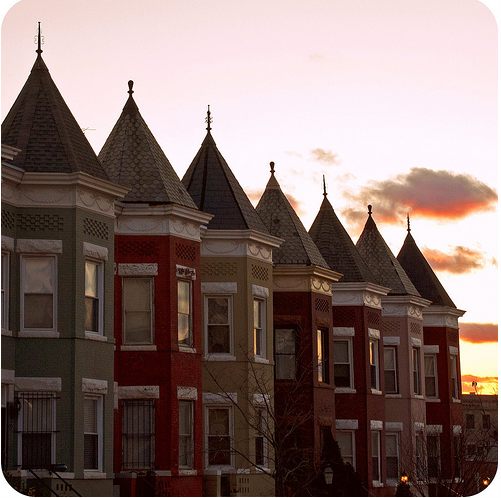 Dear PoPville – When Selling a House What is more important – Historical Details or an Open Floor Plan? Any Realtor recommendations for the former? I have a 1912 Wardman rowhome in Eckington, designed by Albert Beers, 10 minutes from Big Bear and Rustik, on the G8 and 80 bus routes, about 12 minutes from Rhode Island Ave Metro Station. We’ve renovated but have kept all of the original details like trim, built-ins and parqkay floors. The house is spacious, move in ready, with a large yard and two parking spaces. We’re thinking of selling, but the realtor thinks that no one’s interested in houses with original character, and recommends pricing it well below other updated homes that have open floor plans and no original details, because she assumes that someone’s going to want to do a major upgrade. Is she right? Is no one interested in a historically interesting home? If he’s wrong, does anyone know of a DC realtor who specializes in selling homes with original character that aren’t a top of line upgrade?